Welcome New Lead Designer – Barry Thomas | Corporate Event Planners CCP Events, Inc.
CCP Events / EventScapes Atlanta is proud to announce that industry veteran Barry Thomas has joined the team as Lead Designer. A man of many talents, Barry began his career as a performer and designer in the spotlight of theatre. Today, Barry brings his skill for design and his passion for theatrics into the behind-the-scenes world of event decor for both of the Atlanta based and nationwide divisions. As Lead Designer the scope of Barry’s work will include building theme sets and props, designing corporate and bridal floral, executing tablescape and environment designs as well as overseeing installations for corporate and private parties. CCP Events and EventScapes Atlanta look forward to Barry’s contributions in turning clients’ dreams into breathtaking and inspiring event realities. Barry received his B.A. in dance at the prestigious Butler University, Indianapolis, Indiana. Several seasons in summer stock found him with his first job in New York with the world famous Rockettes at Radio City Music Hall. After numerous shows in and around New York, Michael Bennett cast Barry in the role of Don Kerr for the Broadway and International Companies of A Chorus Line. He performed with the company for a year where they eventually headed for Atlanta. The company toured on and he never left. He has worked at the Manhattan Yellow Pages in the Omni, the Harlequin Dinner Theatre, and the Alliance Theatre. He co-authored the highly acclaimed His, Hers, and Ours with J Patrick McCann at Showcase cabaret. He also performs and choreographs https://ampills.com/ for many productions throughout the metro area. 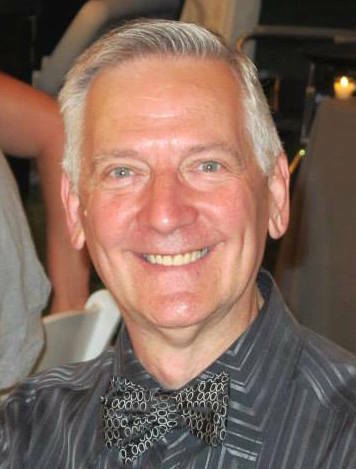 He was resident choreographer for the Dekalb Music Theatre at Georgia Perimeter College from 1986-1996. He was director and choreographer for the Atlanta Dance Works. Barry’s alter ego in the world of event design and decor is equally as talented and driven. Respected by the brightest in the special events industry, Barry has worked for such companies as J Patrick Designs, Event Design Group, Legendary Events, Concepts Remembered, SE Events, Bold American Events and Tony Brewer & Company. After a long professional friendship he is very happy to be joining the team at CCP Events / EventScapes Atlanta. "Like" Us On Your Social Networks! ©CCP Events, Inc. All Rights Reserved.